Elephants are truly incredible animals. Sunday, August 12 is World Elephant Day, a day to spread awareness to help save elephants. What do you know about elephants? Here are some facts that you may not know. African elephant populations are sometimes thought to differ only by the location of the animals. But evolutionarily speaking, that’s not true. Forest and savannah elephants are as separate genetically as Asian elephants and woolly mammoths. The elephant’s closest living relative is the rock hyrax. It is a small furry mammal. It lives in rocky landscapes across sub-Saharan Africa and along the coast of the Arabian peninsula. African elephants are the largest land mammals on the planet. The females of this species undergo the longest pregnancy—22 months. We know that elephants are large, but did you know that they can be turned off by the smallest of critters? One study found that they avoid eating a type of acacia tree that is home to ants. Underfoot, ants can be crushed. But an elephant wants to avoid getting the ants inside its trunk, which is full of sensitive nerve endings. Don’t feed an elephant peanuts. Elephants don’t like peanuts. They don’t eat them in the wild, and zoos don’t feed them to their captive elephants. Female elephants live in groups of about 15 animals that are all related. They are led by a matriarch, usually the oldest in the group. She’ll decide where and when they move and rest. She’ll decided this day to day and season to season. Male elephants leave the matriarch groups between age 12 and 15. But they aren’t loners—they live in all-male groups. In dry times, these males will form a linear hierarchy. It helps them avoid injuries that could result from competing for water. Asian elephants don’t run. Running requires lifting all four feet at once, but elephants filmed in Thailand always kept at least two on the ground at all times. An African elephant can detect seismic signals with sensory cells in its feet. They can also “hear” these deep-pitched sounds when ground vibrations travel from the animal’s front feet, up its leg and shoulder bones and into its middle ear. 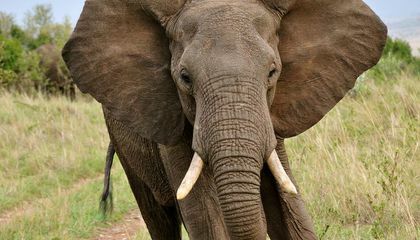 The elephant can determine the sound’s direction by comparing the timing of signals received by each of its front feet. Elephants have passed the mirror test—they recognize themselves in a mirror. Other animals that can recognize themselves in a mirror include Like great apes, magpies and dolphins. Human toddlers have also passed that test. Elephants can get sunburned, so they take care to protect themselves. “Elephants will throw sand on their backs and on their head. They do that to keep them from getting sunburned and to keep bugs off,” said Tony Barthel. He is curator of the Elephant House and the Cheetah Conservation Station at Smithsonian’s National Zoo. How do elephants protect their young? The adult elephants will douse them in sand and stand over the little ones as they sleep. Elephants have evolved a sixth toe, which starts off as cartilage. It is attached to the animal’s big toe but is converted to bone as the elephant ages. Some farmers in Kenya protect their fields from elephants by lining the borders with beehives. Not only are their crops saved, but the farmers also get additional income from the honey. Which of these facts about elephants had you heard before? Where did you learn that fact? I have heard that elephants cannot run because they always have two foots on the ground, but the stereotype that elephants like peanuts is not true was new for me. This is a very interesting article, I did not know that elephants do not eat peanuts. Now the question is; where did this assumption come from? What I do know is that elephants must be protected from hunters to maintain balance and their wisdom in nature. I have heard elephants can detect sismic signals, but I did not know they can hear how the ground vibrations travel. 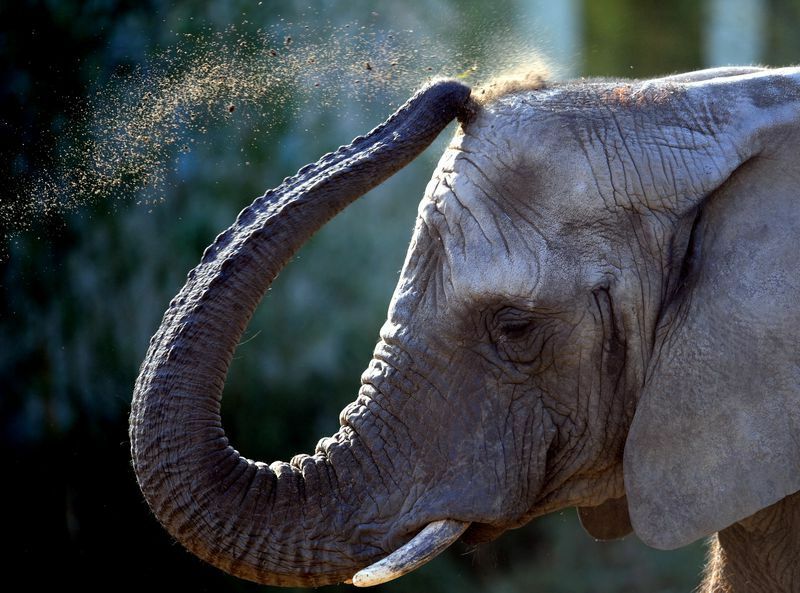 I didn´t know about elephants throw sand on their backs to keep them from sunburned. It shows how they protect themselves without cause damage to others. I have heard that elephants can detect seismic signals, but it is my first time that I have heard that they detect that with sensory cells in its feet. It is amazing!!! I had heard of this fact about elephants before that the female elephants have to undergo the longest pregnancy-22 months. I know this fact about elephant, for I like to watch the reports of National Geographic. It is incredible the female elephant can bear a great weight. When I was a child, I've learned elephants have the longest pregnancy, so they are supposed to have babies after 22 months. I watched a TV program about Elephants where someone explained to audiences how elephants fall in love and attract females. However, I did not know Asian elephants do not run, and I used to believe all elephants do stampedes. I have heard that female elephants have a long pregnancy period. Also, I have heard that a baby elephant could weigh 105 Kg. In addition, I did not know that elephants do not eat peanuts. I have heard that elephants are supposed to eat peanuts. It is an interesting fact that this is not true, and they do not like to eat them. I have not heard about all these facts, and I did not even know that there was an elephant day. When I was at college, I used to study about pregnancy of different domestic species, but the elephant pregnancy surprice me. I used to think that the whale was the mammal with the longest pregnancy. These articles are amazing because every day we can learn new things. Interesting article. I learned a lot. I was surprised. I did no know that elephant do not eat peanuts.